Many first-time music producers are unaware that there's many more responsibilities required to complete a project that go beyond the music. One of those responsibilities is often booking studio time, but there's usually a bit more to it than that. Here's an excerpt from my Music Producer's Handbook that describes the 5 types of studio time required on most projects. "A fairly large project usually has numerous rentals of both long and short term. The trickiest long term rental is always the studio, since if you don’t complete what’s needed on time, then you’ll have to move somewhere else if the studio has booked time after your booking has run out. This can be a royal pain, since it means tearing everything down and setting up again, loosing some time and momentum, and your sound, in the process. 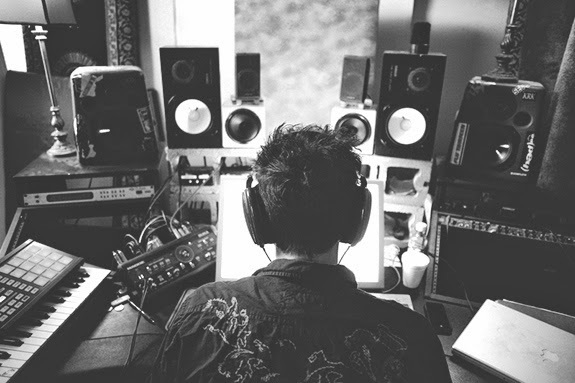 Preproduction - This is the time to work material out before hitting the hi-priced studio. It can be in a garage, a bedroom or a rehearsal room and can last from as little as a day to a couple of months (more on preproduction in Chapter 7). It should be said that a long preproduction schedule is usually a function of working with artists or bands that write their own songs and are early in their careers since the songs and arrangements usually require a fair amount of tweaking. Artists and bands later in their careers usually have a great sense of arrangement and have become sophisticated enough musically to keep the preproduction phase to a minimum. There is no preproduction for commercials, movie or television scores since the composer/arranger has it pretty well worked out and the musicians are skilled enough to learn or read it on the spot. Tracking - Sometimes called “basic tracks,” tracking usually consists of recording just the rhythm tracks, although in certain situations it could mean the entire band as well. The rhythm tracks can be comprised of only the drums, only bass and drums, or only drums, bass, guitar and/or keyboards, and can last anywhere from a single day to months, if there’s no preproduction (more on tracking in chapter 9). Overdubs - Overdubs usually consist of recording at least the lead vocals and/or any kind of solos and lead lines that the song requires, but could also mean overdubbing layers of guitars, keyboards, horns, strings, percussion and background vocals. The overdub phase can last anywhere from a day (in very rare cases) to months or even years (again in extremely rare cases). Overdubs may take place in the same studio as tracking, but in these days of smaller budgets, it’s now common to go to a smaller, cheaper facility (or a free one owned by the producer, engineer, or band member). This is also the most difficult portion of the project to gauge the time, since it can vary widely (more on overdubs in chapter 10). Mixing - It used to be that mixing was a pretty easy part of the schedule to determine how much time was required. A day to a day and a half per song was pretty much a standard measurement, especially if you used an A-list mixing engineer. Now with recall and automation on mixing consoles, and mixing “in-the-box” in your DAW, it’s easy to bring back a mix exactly to where you left it. While that seems like it should lead to faster fixes, it seems that more time is spent mixing than ever, a result of trying to get every last tweak possible. It’s still best to figure a couple of days per mix if you’re mixing in a studio with an analog-style console (more on mixing in chapter 12). Mastering - The mastering phase is the easiest to gauge since it’s usually only a half to a full single day for an entire album, regardless of the number of songs. In rare cases (and big budgets), mastering can turn into a multiple day affair or even use different mastering houses, but that’s not usually the norm." You can read additional excerpts from the Music Producer's Handbook and my other books on the excerpts section of bobbyowsinski.com.